...i paused b2takes! concerts for this. ...Kuroba has... a ....show. With a talking lamp named Pet. He... has guests visit his home. Which is his room. 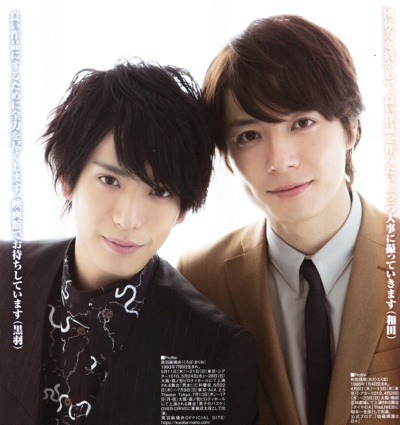 This is a liberal translation of Wada and Mario's interview for Cast Size March 2017 issue. Please note I didn't translate the last question because it was just for the movie promotion.